Are you a fan of luxury cars? 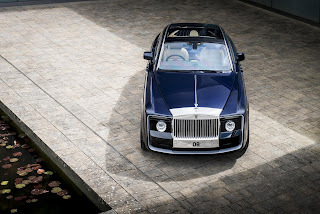 Well the Rolls Royce Sweptail will amaze you. Last weekend at the Concorso d’Eleganza concours festival held at Villa d’Este, Italy, Rolls Royce unveiled what could be the most expensive car ever named the Sweptail. Nigeria, April 13, 2017 – In a bid to foster transnational investments between Nigeria and China, the first edition of the Nigeria Governors’ Investment Forum was held in Guangzhou, China. Governors from 9 states in Nigeria, which include Alhaji Abdul'aziz Abubakar Yari of Zamfara State; Chief Okezie Ikpeazu of Abia State and Chief Dr Samuel Ortom of Benue State. Other dignitaries are Mr. Oloko Shakirudeen Adewale, Consul-General of the Nigerian Consulate-General in Guangzhou, Mr. Cai Chaolin, Vice Mayor of Guangzhou, Mr. Zeng Qinghong, President of GAC Group, and Mr. Yu Jun, General Manager of GAC Motor, other officials and representatives of the business community were present at the China-Nigeria cooperation, trade and development forum. Participants from the two countries conducted in-depth discussions and case sharing on the theme of the forum “sustainable cities and livelihood”. GAC Motor GA8 and GS8, which were designated as the official vehicles for the forum, greatly impressed the delegates with their luxurious and comfortable ride experience, original design, exquisite craftsmanship and state-of-the-art technologies. 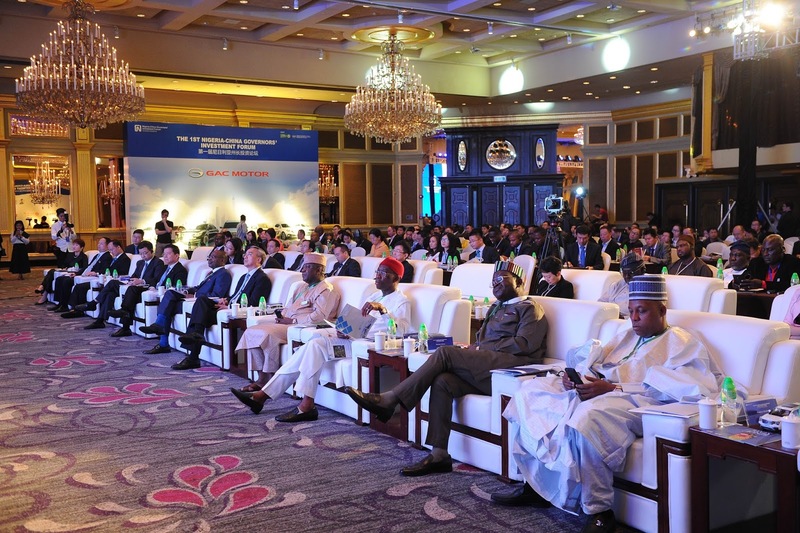 Speaking at the forum, the Vice Mayor of Guangzhou, Mr. Cai Chaolin, stated that Nigeria as the largest economy in Africa and Guangdong are highly complementary to each other in areas such as manufacturing, agriculture, cultural exchanges and infrastructure development being situated along the “Belt and Road” and there is vast potential for cooperation between the two countries. “The Guangzhou Municipal Government has always attached great importance to all-round cooperation with Nigeria. We believe this forum will be a great opportunity for China and Nigeria to further their long-standing friendship, and construct a new bridge for investment activities between the two nations”. “With the GAC Group as a leading investment enterprise, we are speeding up the development of our overseas marketing and service system, and taking internationalization as a key development strategy. He hopes that in the future, more and more high-quality Chinese enterprises such as GAC Group will bring better products and services to Nigeria, so as to further strengthen bilateral exchanges and cooperation”. Also Speaking during the forum, President of GAC Group, Mr. Zeng Qinghong, delivered a speech titled “GAC’s global planning with sustainable development as the basis and the ‘Belt and Road’ Initiative as the driver” introducing to the forum participants the achievements and main business sectors of GAC Group, while emphasizing GAC’s sincere willingness to offer high-quality products and services to Nigerian consumers. “GAC Group’s private brand GAC Motor has developed stable sales channels in Nigeria and achieved outstanding sales records. GAC Motor’s entry into the local market has brought consumers greater ride experience and higher quality of life. 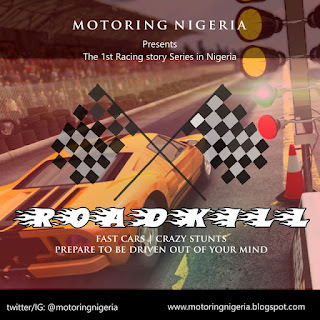 With automobiles as a bridge, GAC Motor has not only benefitted Nigeria with high-quality products and services, but has also brought management expertise and technologies there, thus increasing employment and enabling resource integration, technological innovation and sustainable development.” He said. More than 380,000 GAC Motor vehicles were sold last year, registering an increase of 96%. With a compound annual growth rate of 85% for 6 consecutive years, it has achieved leapfrog development. In the first quarter of this year, the accumulated sales volume of GAC Motor vehicles exceeded 121,000, up by 68.4% year on year, making the brand a leading light among its peers in terms of growth speed and profit generation. Among them, the sales volume of the champion model GS4 was up by 35.5%, firmly keeping the runner-up title in the domestic SUV market. It was also the first brand that surpassed the sales threshold of 500,000 units among SUVs in the price range of RMB 100,000. The advanced higher-end GS8 was highly sought-after, always in short supply. Over 10,000 GS8 SUVs were sold alone in March, making a significant breakthrough of a monthly sales volume of over 10,000 vehicles only after half a year of its launch in the market. It was the best sales record among Chinese SUV brands in similar price range, and broke the price ceiling on Chinese brand vehicles, making the model a leader of high-end vehicles with increasing sales volumes. At the forum, the Chinese officials and governors from Nigeria studied carefully GA8 and GS8 showcased at the venue. GS8, with its original design of a tough exterior and soft interior, luxurious and cozy inner facilities and rich high-tech equipment, was a particular eye-catcher. Nigerian delegates all expressed their hope to see the introduction of GS8 and more new-energy vehicles to Nigeria. Besides, they also wish to see more GAC Motor investment in Nigeria to drive current cooperation further. GAC Motor will continue to provide consumers with more desirable products and services, spare no efforts in building GAC Motor into the leading auto brand in China, and endeavor to be a world-class brand with the strongest brand value and influence deeply cherished by consumers. With its high quality and product strength, GAC Motor has made initial breakthroughs in the overseas markets, with Nigeria being a leading one. At the same time, GAC Motor is actively planning its global strategic layout. Current, preparation for the GAC North America R&D Center is progressing. GAC Motor plans to enter into the North American market no later than 2019.e comment section below.